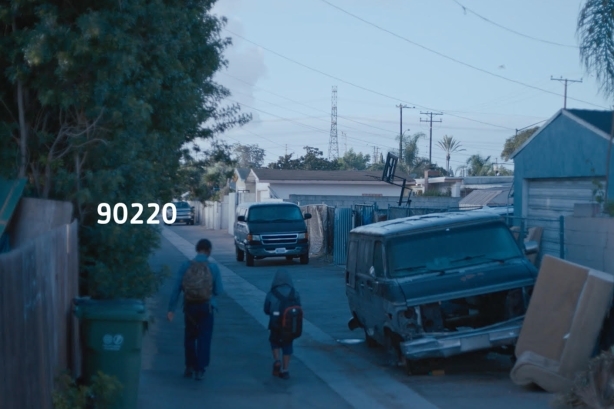 Using footage to display how dramatically different neighborhoods are depending on their zip codes, a hard-hitting spot from the YMCA asked viewers to confront the fact that a person’s birthplace can determine their future. The video’s message: The Y aims to help kids from all backgrounds with its programs and services. Most people know the Y as a place that provides affordable gym memberships and a pool where they can teach their kids how to swim. It’s true, it does both, but the Y also offers a range of valuable but lesser-known services, said Valerie Barker Waller, SVP and CMO of the YMCA of the U.S.A.
With 2,700 locations, the Y provides resources to communities across the country, including youth development programs, childcare, an active mentor network, social support (including a program for cancer survivors), services for seniors, and resources for those seeking food and shelter following a disaster. In a variety of situations, "we’re a place that can help," Waller said. Not enough people realize this, however. To get higher visibility for the range of resources and services it offers, the organization launched a four-part campaign called For a Better Us. Preparations for the campaign began in 2015, with the first installment launching in 2016. Planning for One Number Different, the third installment in the series, kicked off in the beginning of 2018. The organization wanted to showcase the Y as a place for everyone, no matter their background, political leanings, or circumstances. By May, it had settled on using zip codes as a symbol of social disparity in America, representing both the gulf in opportunities, and the Y’s ability to bridge the divide. "We knew we had the right idea, but it hinged on being able to represent and show different places around the country," Waller said. "That was a production feat." By May, the organization had already identified its target audience: individuals who had a similar profile to active Y members or volunteers, but were, for whatever reason, not yet involved. From market research, it knew this group was a heavy consumer of news across mediums. The Y ran 60 and 30-second TV ads as part of a $3.2 million campaign that spanned from November 11 to the end of 2018 on channels including CNN, MSNBC, and Fox. It also ran digital ads and promoted a 15-second version of the spot on social media. Four influencers from diverse backgrounds and industries were also selected to promote the campaign on Instagram: Olympic gymnast Shawn Johnson, football player Andrew East, doctor Laura Scott, and lifestyle blogger Mandy Ansari. Following the TV campaign, the Y hired an outside firm to measure the spot’s effectiveness. Of a group of 760 people who had seen the ad, 85% said they found it highly relevant, and 95% said they believed the Y was an organization worthy of support. The influencer component of the campaign, which consisted of five Instagram posts, racked up more than 55,000 likes. It also generated 246 earned media placements in outlets including Business Insider, USA Today, Yahoo, and The New York Post. YMCA’s YouTube videos for the campaign have garnered 300,000 total views.